An Organic Mattress is a mattress that is composed of natural organic materials such as pesticide-free organic cotton, organic wool, organic natural latex and steel springs and are generally composed of renewable materials and support sustainable agriculture. A conventional mattress is most commonly manufactured using man-made materials such as polyester, polyurethane, synthetic latex, memory foam, nylon and a host of other petrochemical derivatives. Conventional mattresses are most likely to contain cotton that has been treated with pesticides and other chemicals. In addition, flame retardants and other chemicals are used. An organic mattress is absent from the use of toxic glues, adhesives, plastics, and petroleum based synthetics! Are “Chemical” Mattresses Bad for My Health? Sleeping should restore and replenish your mind and your body. A good night’s sleep depends on a safe and most of all, comfortable environment. Given this, wouldn’t it make sense to sleep in an environment that avoids the chemical environment created by mainstream mattresses? Polyester and other synthetic polymers are derived from chemicals known to be possible carcinogens. Polyurethane, synthetic latex and man-made foams are known to have other effects on human health, including children’s brain development. Along with these petrochemical products, there comes many other artificial dyes, flame retardants and chemical fabric treatments that add to this already questionable amount of chemicals. Imagine being exposed to this chemical soup every single night while you sleep? Some of these products, such as polybrominated diphenyl ethers (PDBE) used in flame retardants are linked to interruption of brain development in young children and have been found in significant levels in human breast tissue. Since being reported by researchers in 2003, California legislature passed a bill banning PDBE’s from consumer products beginning in 2008. Wool is a remarkable long lasting breathable natural fiber that warms us in the winter and keeps us cool and comfortable during the summer. Synthetic fibers used in mattresses lock in heat causing overheating at night and more of a restless nights sleep. We use wool because we know the benefits it has on regulating your body temperature and heart rate at night, thus improving your sleep. It wicks moisture away, leaving your body at the ideal temperature all night long! Synthetic fibers also do not provide the long lasting support that wool fibers provide. Synthetic fibers bottom out when weight is applied and thus does not provide proper support. Wool fiber has a natural springiness, meaning it is inherently resilient and extremely supportive. Wool softly supports and cushions while diffusing pressure points and molding to the body contours. 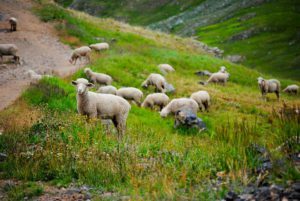 When laying on a mattress or topper made with wool, you can clearly identify the advantages of wool over synthetic materials. Wool is also naturally flame resistant. Due to the high keratin protein and moisture content of wool, it’s naturally resistant to burning. Tests have shown wool to be among the safest of bedding materials. Wool is also an ideal fiber for allergy sensitive individuals due to its mold, mildew, and dust mite resistance. Joma wool has been thoroughly cleaned and is non-allergenic, making it ideal for those who suffer allergies to feather and down or synthetic bedding products. Organic cotton is 100% organically grown cotton fibres from organic farmers. The fluffy cotton bolls that spring from the opened seed cases of the cotton plant come to full ripeness on a ‘controlled diet”. Instead of being sprayed with traditional pesticides, they are pampered with a mixture of organic fertilizer, ground tea tree seeds and soap. We know that in conventional cotton production, generally too many pesticides are used. It’s a fact that these pesticides pollute the groundwater and soil, and are dangerous to humans and animals alike. The organic cultivation methods by no means detract from the natural qualities of our cotton. Organic cotton is just as soft, strong and voluminous and is certified by the umbrella inspection organization, Skal, which guarantees you a 100% organic cotton product. According to Cotton Council International, cotton is a natural, renewable, biodegradable and sustainable fiber. The benefits of cotton are numerous. Cotton is one of the oldest materials used in fabric production and dates back to prehistoric times. It is an ideal raw material for a pure and eco-friendly fabric. Cotton is used in beds, toppers, and pillows, due to its absorbency, durability, softness, and breathability. Cotton is so naturally soft and comfortable and provides the ideal density for a sleeping surface. Cotton becomes denser to provide a supportive sleeping surface, which does not bottom out to the underlying surface. Cotton allows for excellent air circulation. It removes body moisture and draws heat away so you do not have excessive overheating. Cotton breathes so your body can breathe. 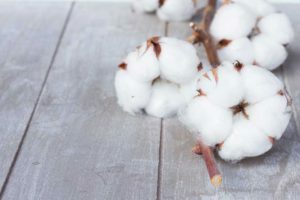 Unlike cotton’s synthetic competitors, natural cotton is hypoallergenic and dust mite resistant which is an ideal material for people who suffer from asthma, allergies, or sensitive skin. Mattresses, toppers, and pillows are made with natural latex that is harvested without the use of chemicals from the milk of the rubber tree. 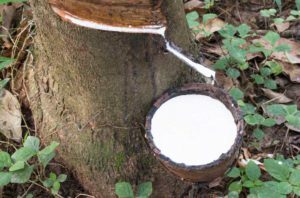 The rubber tree is used almost exclusively for the production of latex and is unharmed by the process. Whether you prefer a plush or firm sleep surface, organic rubber offers a wide range of products that address many sleep concerns. Talalay and Dunlop latex is known to be inherently resilient. It expands and conforms to the various levels of weight and pressure to which it is exposed and does an excellent job of relieving pressure points and causes less tossing and turning. It’s both buoyant and supportive and contours your body instead of forcing your spine into a straight line. The buoyancy of latex allows your spine and body to relax naturally. Natural Latex is also considered the most durable of mattress ingredients. Its longevity goes far beyond that of an innerspring or memory foam mattress. Latex has a unique breathable ventilating system which reduces the chance of over- heating and keeps your body temperature regulated throughout the night. The open-cell structure of our latex allows air to pass through naturally and dissipate quickly making it highly resistant to dust mites more so than any other foam. This makes it the ideal choice for allergy sufferers! 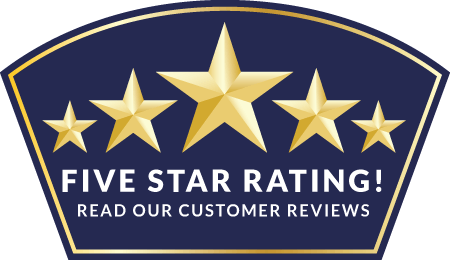 The majority of mattress manufacturers use synthetics like polyurethane foams and petroleum based products that retain body heat and off-gass. This can cause night sweating and sleep disturbance. In addition, visco-elastic foam also known as memory foam, when pressure is applied has a slower compression and recovery time than natural latex and thus traps in heat and does not provide as much support. Latex bounces back and reduces memory. Natural ingredients that facilitate fresh airflow. Body heat is wisped through and away from our products helping you maintain a great night’s sleep.